Barn Cottage is a highly impressive, superbly converted stone barn which provides ample living space and self catering accommodation in a quiet rural location for larger groups or extended families. Barn Cottage is part of the Bamburgh First Dukesfield Collection and therefore has access to the newly built Gathering Place - an additional space where you can play games on the wii, table tennis or sit and read a book. For more information about the Gathering Place please click here. There is also a new tennis court, hot tub and children's play area exclusively available to guests of Bamburgh First at Dukesfield. Access from the courtyard leads into a spacious living/dining area with an exquisite, contemporary feel. 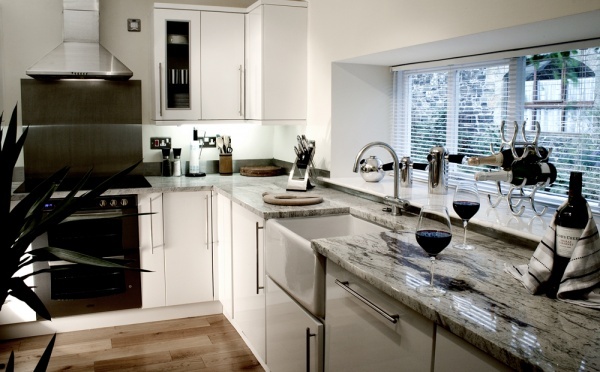 This holiday cottage has been designed to provide an adequate and restful space for a party of eight people. Meal times can be enjoyed on a large, natural wood table. 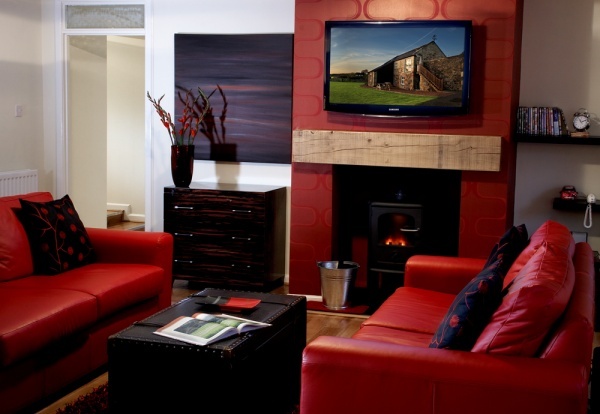 The spacious lounge has comfy sofas and a wood burning stove. The dining area leads into the very modern, well-equipped kitchen with all the essential accessories and deluxe fixtures. There is access from the back door to the paddock, BBQ and outdoor furniture. Views across the paddock are stunning - to rolling fields and peaceful countryside. The Master Bedroom with en-suite shower room has an overall striking design which benefits from a tasteful blend of the traditional and the modern. This room is situated on the ground floor and has a Super Kingsize bed, bedside drawers with lamps, wardrobe, dressing table and a wall mounted flat screen TV with the full Sky package. This large bedroom has delightful views across open countryside. 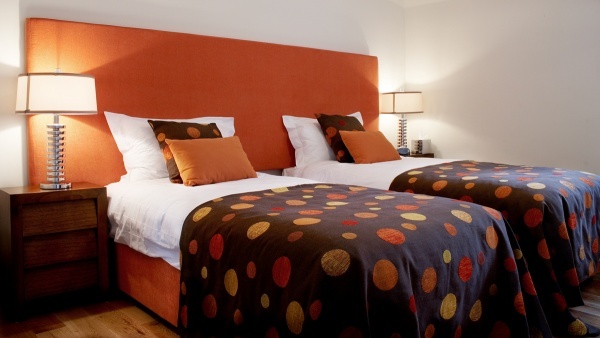 The Orange and Blue bedrooms each have an ensuite 'Jack and Jill' Bathroom and are good-sized, pleasant rooms with two single beds, a vanity console with wardrobe, bedside tables and lamps. There is also access to a shared walk-in shower room from both. 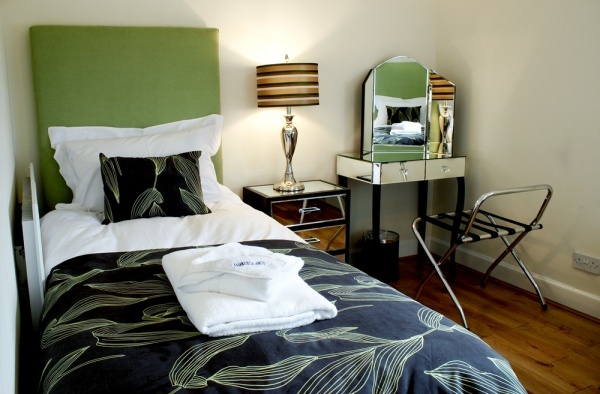 The Green Bedroom is a charmingly furnished room with a restful ambience. This room has two single beds, vanity console, dressing table, bedside tables and lamps and has fantastic views of the countryside. The family bathroom is travertine tiled throughout and has a tasteful white suite.